12 months after leading UK sports retailer Sports Direct took on ownership of TRI UK, the multisport retailer, originally based in Yeovil, South West England, has now opened a new flagship superstore in Shirebrook, Derbyshire. 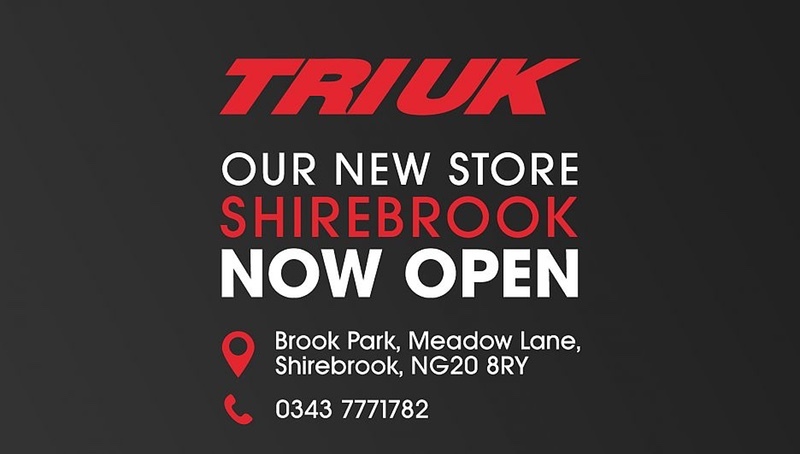 TRI UK’s flagship superstore on Meadow Lane in Shirebrook is situated on the same site as a major Sports Direct general sports store. Similar to its original Yeovil store, TRI UK has installed an ‘endless’ swimming pool, so wetsuits can be tried in the water before purchase. Meanwhile, cyclists can make use of the GURU bike-fitting service. In addition, the cycle workshop’s team can carry out bike repairs and tests. The Mizuno Running Solution by ViMove is available for store visitors to try, with a wearable sensor used to help identify the ideal run shoe. There’s also an on-site café for athletes/visitors to make use of. The store’s impressive bike line-up includes Cannondale, Cervélo, Focus and GT, Look, Open, Forme, Marin, Colnago, Orro, Argon 18, Factor, J Guillem and Rocky Mountain. The clothing, accessories and shoe ranges include brands such as Mizuno, Fizik, Northwave, 2XU, FOOR, Dare2TRi, Arena, Assos, Endura, Castelli, Oakley, 3T, Mavic, Zipp, Met, Fabric, Topeak, Crank Brothers, Continental, Pirelli, Hutchinson and Muc-Off. Swimming apparel and goggle brands include Arena, Dare2tri and Foor.